November 13th, World Kindness Day, is a good day to count our blessings and be grateful for all the things we have. Life gets ahead of us at times and we don’t stop to think about others. The truth is, opportunities for random acts of kindness are all around us. You don’t have to spend money to show someone you care. A simple thank you note, a compliment, or participating in a charity walk with your family are all things that could make someone’s day better. We have a tendency to think that in order to change peoples lives we need to offer them solutions, create charity organizations, carry out complex projects, but sometimes a kind word, a genuine smile, a helping hand can totally change someone’s life and restore ones faith in the power of kindness. Being kind is so easy, so simple, it is so natural, because human beings were created not to receive, but to give. Giving is our true nature. Kindness, love and the warm of your heart are the only things you can give, but still have it within you in abundance! 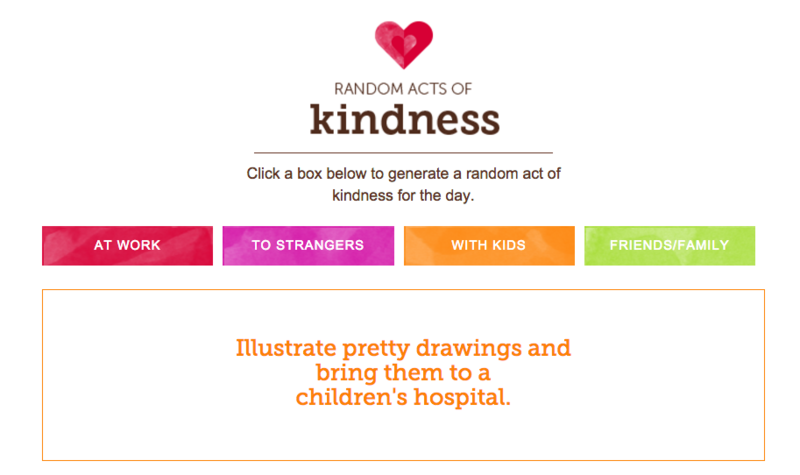 To get you excited for World Kindness Day, Shari’s Berries created a Random Acts of Kindness Generator. Simply choose a category, and the generator will provide a simple act you can do to make someone smile. 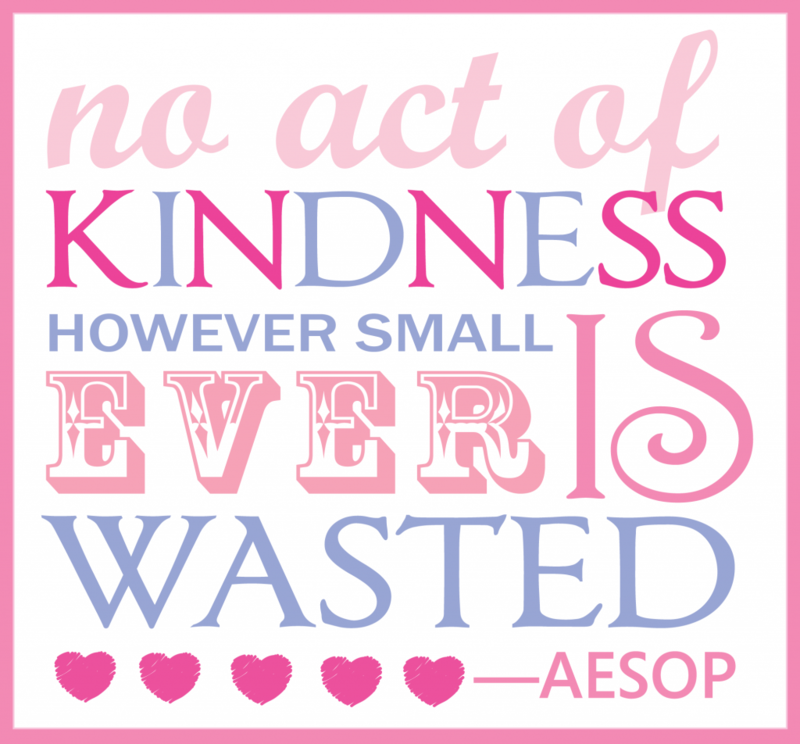 There’s over fifty different ideas, so enough to go beyond World Kindness Day and perform random acts of kindness all year long!